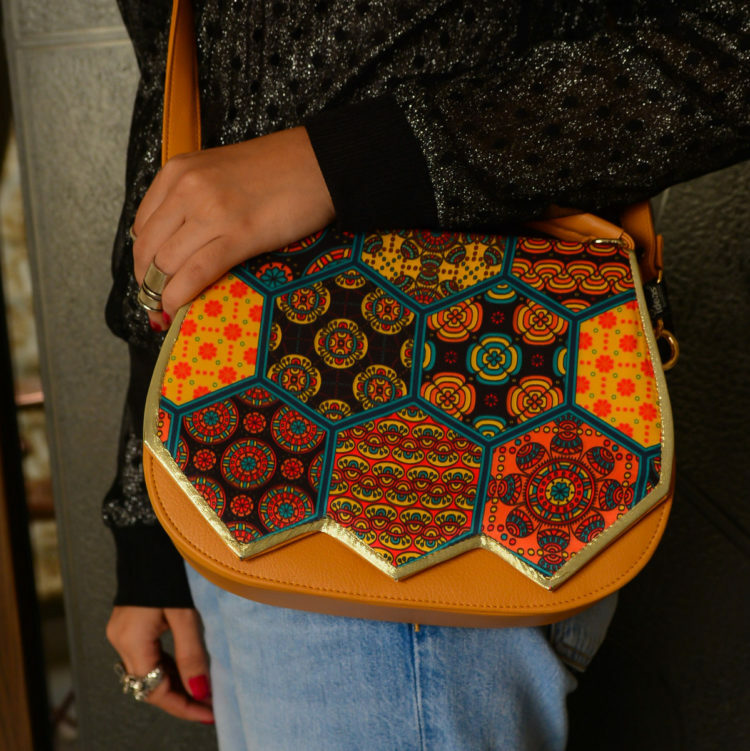 IDEAS, a brand known to have a huge assortment of bags and shoes recently upped their game with embroidered and printed accessories. Incorporating some trends, they make their accessories fun and easy on the pocket. Targeted mostly for the younger lot, these bags and shoes in my view are more complimenting with western wear. Wear printed shoes with a plain t and simple boyfriend ripped jeans. The printed bags can be carried off with an eastern plain outfit, don’t use it with a contrasting print it wont look as great. The big travel bag look is great for work. The bag we chose is neither too big nor too small and comes with a golden edging making it quite glam whole maintaining a casual chic look. The shoulder bag with a printed flap and a leather body is chic and perfect for occasion wear or cross body over a plain sweater or a bomber jacket. Absolutely love the idea of east meets west in footwear. 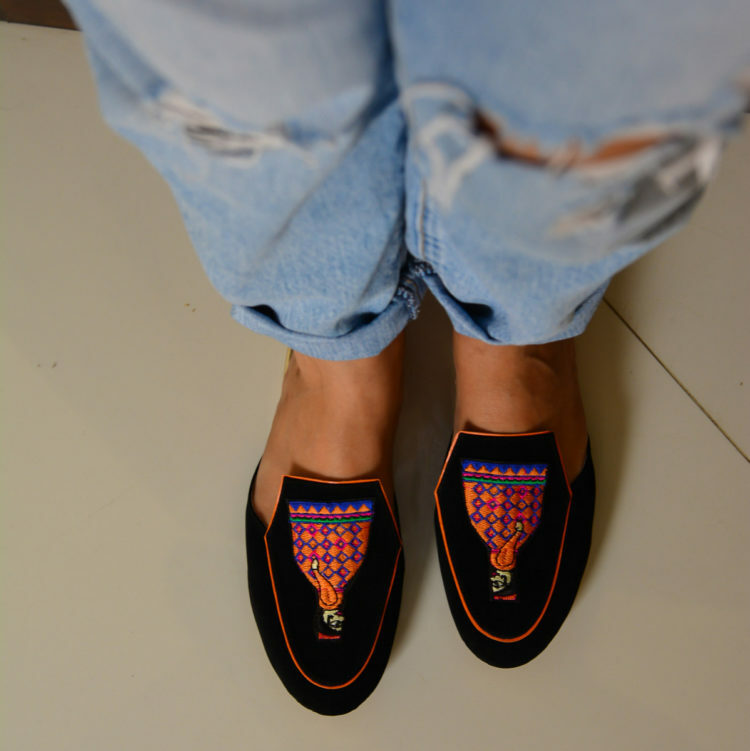 These velvet slides with an eastern figurine embroidered with perfection will look great with any outfit. Try them with flared jeans and a plain velvet jacket.